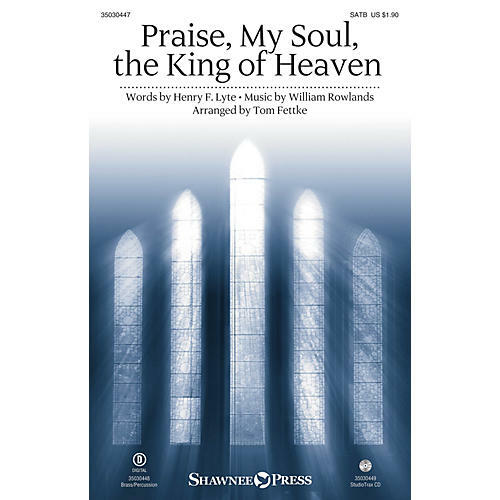 Uses: General Scripture: Psalm 103 A regal hymn of the faith is adorned with an auspicious treatment featuring festive brass and solid traditional choral textures. The divine characteristics of the eternal God are exalted in this classic hymn, and the scope of the arrangement reflects the lofty ideals of the poetry. The rich alleluias are great moments, and the piano, brass and percussion are a brilliant support system, undergirding the theatre of this noble anthem. Score and Parts (hn, tpt 1-3, tbn 1-2, bells/chm, perc, timp) available as a digital download.